Avante-garde hats and prints-mania for SS19. Imagine the most ridiculously extra, OTT hat you’ve ever seen. Now multiply it by about five, and you’ve probably got something close to the key piece at the Christian Cowan NYFW show. A gargantuan sun hat with the top lopped off made for an avant-garde top and mini-skirt co-ord. Elsewhere, huge 80s puff sleeves were covered in checkerboard and models peeked out through punk mesh headpieces. Yes, tufty layers of crepe, zebra print galore, and a Grace Jones-esque hoodie with structured sleeves. 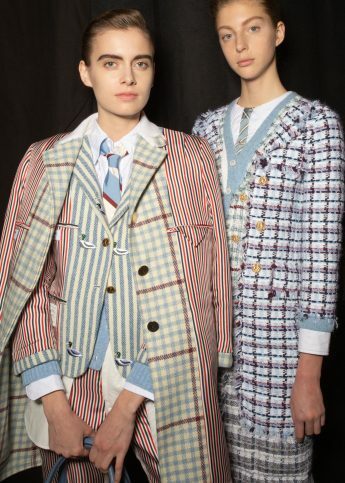 But for SS19, it wasn’t just about the show-stoppers. Christian Cowan put out sharp 90s-style tailored pieces and denim staples. Everything covered, here. Viral dogs, skateboards and chair-hats were the norm at Andreas Kronthaler for Vivienne Westwood's SS19 collection. 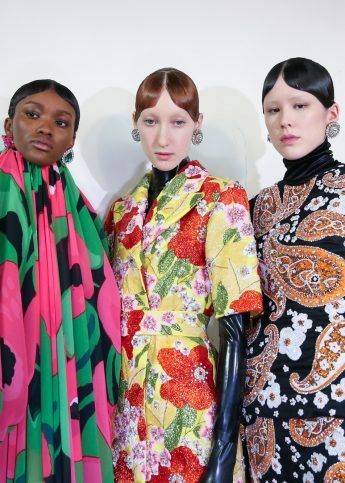 Richard Quinn's AW19 floral extravaganza was a celebratory ode to fashion and glamour.